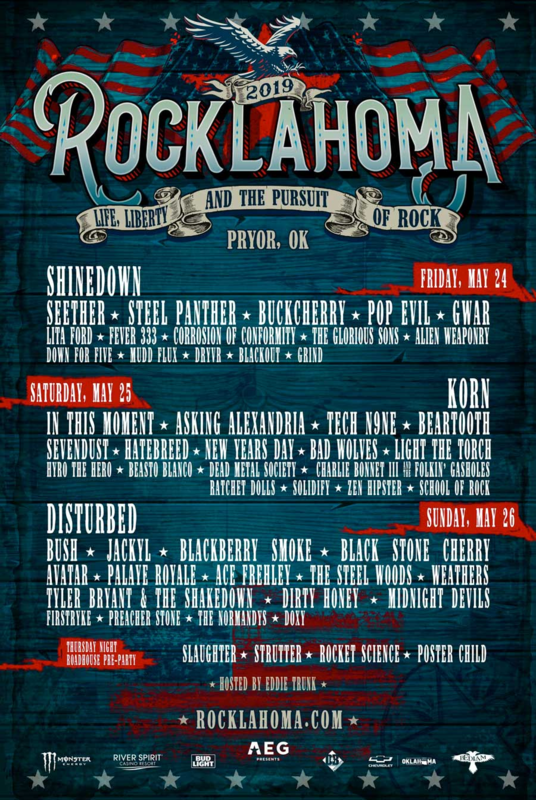 Rocklahoma is scheduled for May 24th through the 26th at the “Catch The Fever” Festival Grounds in Pryor, Oklahoma, just outside Tulsa. Korn will headline the bill on Saturday, May 25th. This year’s lineup also includes Disturbed, Shinedown, Bad Wolves, In This Moment, Seether, Bush, Asking Alexandria, Black Stone Cherry, Buckcherry, Pop Evil, Beartooth, Avatar and many more. The postponed leg of Ozzy’s “No More Tours 2” North American trek has been rescheduled and will now kick off on May 27th, 2020, in Atlanta, Georgia, and run through July 31st, 2020 in Las Vegas. Korn, meanwhile, will embark on a co-headlining tour with Alice In Chains beginning July 18th in Del Valle, Texas. Korn performs at a SOLD OUT St. Louis show on Saturday, September 30, 2017 at The Pageant.